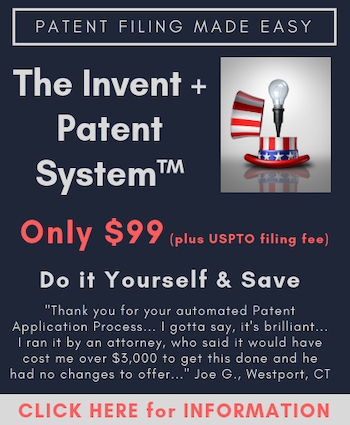 A patentee does not subject itself to personal jurisdiction in a state by either (1) filing a lawsuit in another state seeking nationwide injunction, or (2) sending infringement notice letters into the state, without also traveling to the state to discuss the alleged infringement. The Federal Circuit recently affirmed the District Court for the Eastern District of Tennessee’s dismissal of a declaratory judgment action based on a finding of lack of personal jurisdiction over the defendant. The Federal Circuit held that a defendant’s request for an injunction in a different forum, which may extend into the present forum if granted, does not satisfy the “minimum contacts” prong of the test for personal jurisdiction. The Federal Circuit also made a distinction between (1) merely sending infringement notice letters into a forum and (2) sending a letter andtravelingto the forum state to discuss the alleged infringement. The Court held that letters alone do not satisfy the “minimum contacts” prong of the test. Maxchief Investments Limited v. Wok & Pan, Ind. Inc., No. 18-1121, 2018 U.S. App. LEXIS 33437 (Fed. Cir. Nov. 29, 2018) (Before Dyk, Reyna, and Hughes, Circuit Judges) (Opinion for the Court, Dyk, Circuit Judge). Plaintiff-Appellant Maxchief Investments Limited (“Maxchief”) manufactures plastic folding tables. Its principal place of business is in China, but the company distributes products through Meco Corporation (“Meco”), a Tennessee company. Meco, in turn, sells the tables to retailers such as Staples and The Coleman Company. Wok & Pan, Ind., Inc. (“Wok”) competes with Maxchief in the plastic folding table industry. Wok, also headquartered in China, is the owner of four patents directed to folding tables. In February 2015, Wok filed suit in the Central District of California against Staples alleging infringement of its patents by selling tables manufactured by Maxchief. Staples, in turn, requested indemnity by Meco, and Meco requested indemnity by Maxchief. On September 2, 2016, Maxchief filed the present case in the Eastern District of Tennessee, seeking a declaration of non-infringement or invalidity. Wok moved to dismiss the claims for lack of personal jurisdiction, which the district court granted. The district court held that Maxchief failed to allege Wok had sufficient minimum contacts with Tennesseebecause although Wok sought to enforce its patents in California, it did not seek to enforce its patents in Tennessee. Maxchief subsequently appealed the ruling. Maxchief argued the district court had proper personal jurisdiction for two reasons. First, Maxchief argued that the California case created sufficient contacts in Tennessee because Wok sought a broad injunction against “all those in active concert” with Staples, including its “distributors,” which would include Meco, a Tennessee company. To Maxchief, the possibility of responding to an injunction in Tennessee by altering its activities in the state satisfied the “minimum contacts” prong of the test for personal jurisdiction. The Federal Court dismissed this argument by citing Walden v. Fioreand distinguishing Calder v. Jones. The Court held that the lawsuit in California was not “expressly aimed” at conduct in Tennessee; rather, it was directed at actions taken by Staples, a California resident, in California. The court held that, like in Walden, the lawsuit in California did not create sufficient contacts with Tennessee merely because Wok knew Staples had a connection to a Tennessee distributor. Second, Maxchief argued that “Wok created minimum contacts related to patent enforcement by sending an infringement notice letter to Maxchief’s lawyer in Tennessee.” The letter alleged infringement not by Staples or Meco, but by Coleman, a Kansas company. Maxchief had support for this argument in Xilinx v. Papst Licensing GmbH & Co, 848 F.3d 1346 (Fed. Cir. 2017), where the Federal Circuit held that personal jurisdiction exists over a declaratory judgment action when a patentee sends notice letters to and visits the plaintiff in the forum state. The Federal Circuit rejected the argument on two grounds. First, even if the notice letter constituted a proper minimum contact, the letter alleged infringement by Coleman, a Kansas company. The letter would, therefore, constitute a contactwith Kansas and not Tennessee. Second, the Court held that “merely sending notice letters of patent infringement does not satisfy the ‘fair play and substantial justice’ prong of the personal jurisdiction inquiry, because principles of fair play ‘afford a patentee sufficient latitude to inform others of its patent rights without subjecting itself to jurisdiction in a foreign forum.’” (citing Red Wing Shoe Co. v. Hockerson-Halberstadt, Inc., 148 F.3d 1355 (Fed. Cir. 1998). Therefore, the Federal Circuit distinguished (1) only sending infringement notice letters and (2) sending notice letters andtravelingto the forum state to discuss the infringement with the plaintiff. The Court also discussed a state tortious interference claim in its decision. The Court proceeded to affirm the district court’s dismissal of the declaratory judgment claim of non-infringement or invalidity, holding that Wok lacked sufficient contacts with the forum state of Tennessee for personal jurisdiction.